A new release of Google Music Frame is now available. This release brings many new features including support for tray icons in Gnome Shell and Gnome Fallback mode. 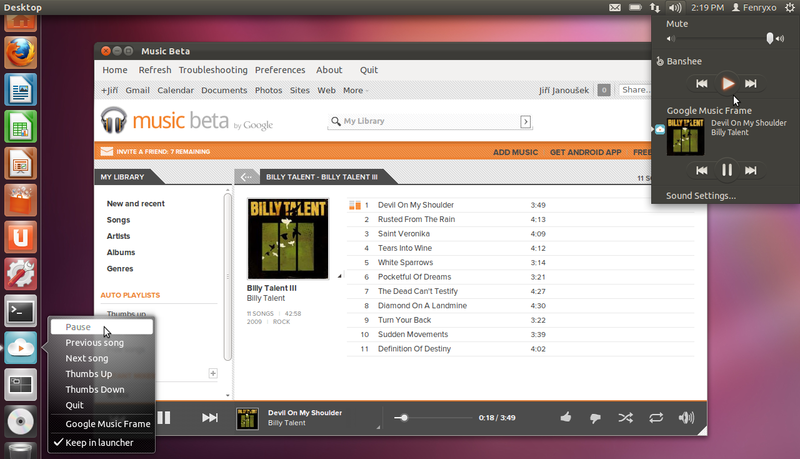 If you don't know, Google Music Frame allows you play and manage your Google Music library in a standalone desktop application. GMF have deep integration with different desktop environments like Gnome Shell and Unity. 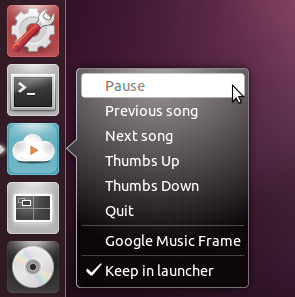 Tray icon support for environments without Ubuntu Sound Indicator (e.g. GNOME Shell, GNOME Fallback mode). The main window is hidden to tray icon if the close button is pressed while the music is playing. Thumbs Up/Down actions for DockManager, Unity Launcher and other helpers. New toolbar at top with useful buttons like refresh, settings etc. Faster loading of web interface with browser cache support, new troubleshooting dialogue and translation updates.